Place the collar on your puppy right after adoption, and keep it on your puppy’s neck at all times. No matter how much your LOVE your puppy you will need, from time to time, to leave your puppy alone. This is not an easy thing for your puppy. With a little training he will learn how to be happy on his own. Soon he will not even notice your gone. The key success factor is for your puppy to learn how to entertain himself on his own. 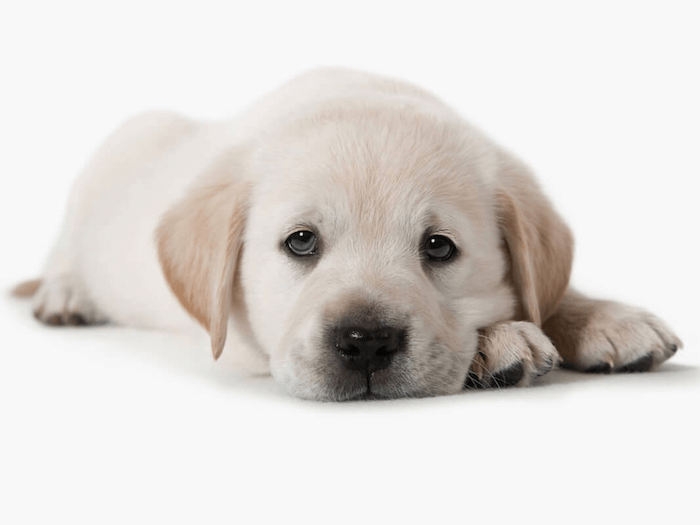 You can help your puppy learn how to be happy when he’s home alone. First teach your puppy to play alone while you are present. Offer a chew toy stuffed with food or treats. Reward your puppy when he settles down and plays quietly with you around. Then leave him alone for just a few minutes, while he’s still playing with his toy. From there, you will build up to longer periods. You might consider using a crate. This helps some puppies feel more secure. You need to make your departure and your homecoming as uneventful as possible. That means ignore your puppy when you come back home. If you let your puppy be super excited and jump around every time you come home, this could reinforce his fear that you were gone for good. Ignoring him until he’s quiet is a way to explain that your absence didn’t matter at all. 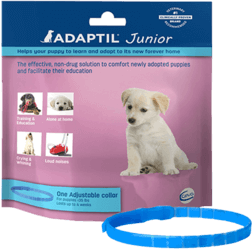 Using ADAPTIL Junior will help your puppy feel reassured and comfortable when you are away.